HBO Films is working on a television movie based on the book ‘The Real Pepsi Challenge’ by Stephanie Capparell! Executive producers at AllDayEveryDay are also working on a documentary on the WWII-era Pepsi team. ‘Shackleton’s Way’ is re-released in the U.S. and U.K. with new jackets. Now in its 29th printing! Works completed to date by Stephanie Capparell for Substantial Films include three books, a bio-documentary shot in five countries, newspaper and magazine articles, contributions to an encyclopedia of the Modern Middle East and to a travel guide to Turkey, the design of a temporary exhibit at a world-class New York City museum, the permanent donation of research archives to the National Museum of African American History and Culture, speaking engagements in the U.S., Italy and the Netherlands, and dozens of interviews for radio and television. SFI plans to have the film subtitled in Italian this year for a showing in Italy in 2019. The 86-minute documentary is a biography of Nazim Hikmet (1902-1963), a leading 20th-century poet and Turkey’s greatest writer. He was jailed for nearly 16 years in Turkey, barred from the U.S. and banned in his country of exile, Russia, because of his political beliefs. The Italians, in the 1950s, were the first to publish Nazim’s work in a language other than Turkish, and he remains very popular in Italy. An art-house cinema in Bari has extended an invitation for a screening. More venues are being considered. The film’s creative team is deeply saddened by the death in February 2018 of the film’s narrator, Reg E. Cathey, who we expected to join us in Italy. The Emmy-winning actor (House of Cards, The Wire) with the mesmerizing voice was a warm and talented artist. The movie was self-funded by Capparell and so was long in the making. It was shot in Turkey, France, Russia, the U.K. and the U.S., and features interviews with the poet’s sister, stepson and closest friends, with comment from some of the artists influenced by Nazim’s work and life, including U.S. writer Howard Fast, poet Gerald Stern and folk singer Pete Seeger. The film had its international debut at Alkionis art-house cinema in Athens, Greece, in May 2015. Now in its 29th printing, with a new cover! The book, written with Margot Morrell, is a thrilling survival story and a guide for business leaders, especially leaders in crisis. It was a New York Times and Wall Street Journal business best-seller, and has sold more than 500,000 copies worldwide in six languages. Recently optioned by HBO Films for television! The story begins in the 1940s, when a group of African-American businessmen were among the first black professionals in Corporate America, helping to change the face of business. The corporation was Pepsi-Cola Co., led by the charismatic and socially progressive Walter Mack. This book, written with Birkman International CEO Sharon Birkman Fink, introduces a remarkable workplace assessment that has given millions of business professionals the awareness they need to improve their business performance and their personal well-being. It’s an amazing tool for relationships of all types. Capparell has been working for The Wall Street Journal for more than 25 years, after starting her career as a reporter and editor for papers in the Boston area and in Istanbul. At the Journal, she has been an editor on several desks: the Brussels bureau and, in New York, the overseas copy desk, columns, international news and luxury real estate. In addition to editing, she has done some writing and video reporting for WSJ and for other publications in the U.S. and overseas. Her articles for the Journal include one on the revival of a remarkable Italian city of stone, how the classic holiday song “White Christmas” made an indelible imprint on American culture, and a look at the leadership of Antarctic explorer Sir Ernest Shackleton, to name a few. Her Shackleton piece was met with such enthusiasm that she heard from readers on a weekly basis for nearly a year. 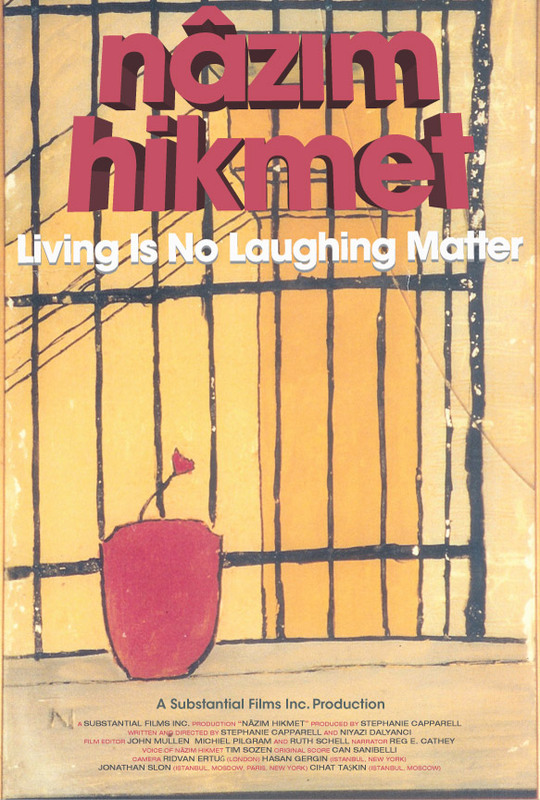 Her front-page article in 1993 for WSJ Europe on the controversy surrounding the legacy of the late Turkish poet Nazim Hikmet—written while researching her documentary on the subject—drew media attention worldwide. Her guest columns for Front Lines on African-American corporate pioneers at Pepsi-Cola Co. led to her book—written for WSJ’s short-lived book venture—and to options for a documentary and an HBO film. Substantial Films Inc. was launched by Manhattan-based journalist/author Stephanie Capparell in 1992 to do freelance projects across various platforms. NOTE: Stage rights for ‘The Real Pepsi Challenge’ are still available! Stephanie Capparell is a journalist, author and filmmaker based in New York City. She is an editor for The Wall Street Journal, where she has worked for more than 25 years.